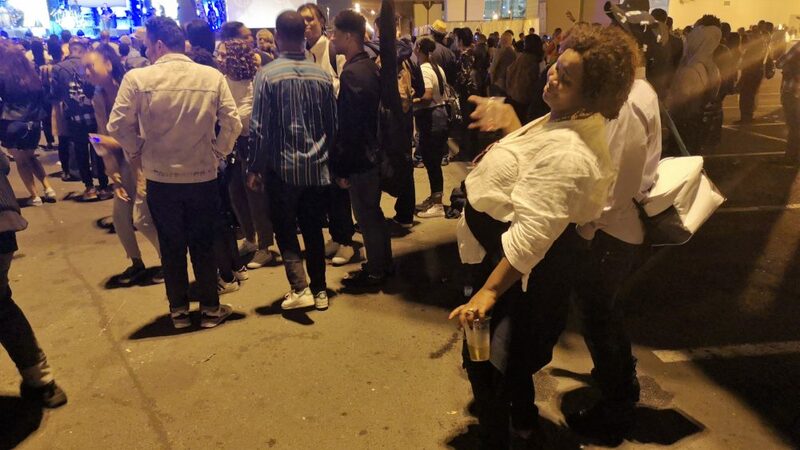 When the end of March nears, music lovers in the thousands flock to Cape Town from all over South Africa, from other countries of the continent and from the rest of the world. 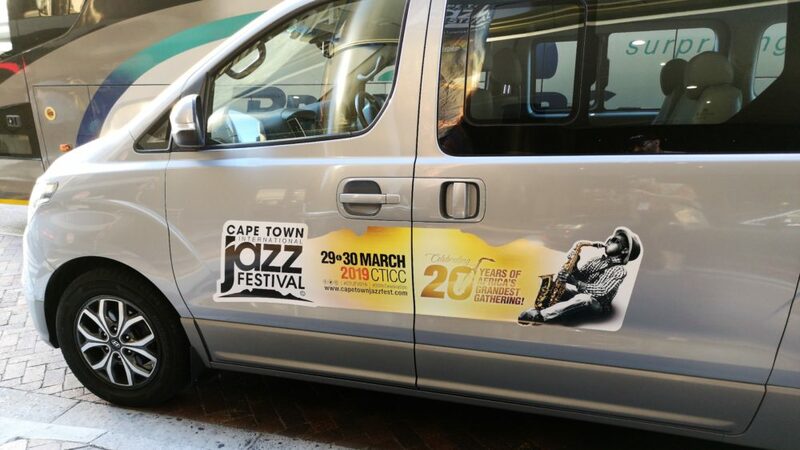 What draws them to the southwestern tip of Africa is an extraordinary musical event – the Cape Town International Jazz Festival, which has, as almost anywhere in Africa, a very generous definition of the term "jazz" and features also world music, r&b, hip-hop and other styles. 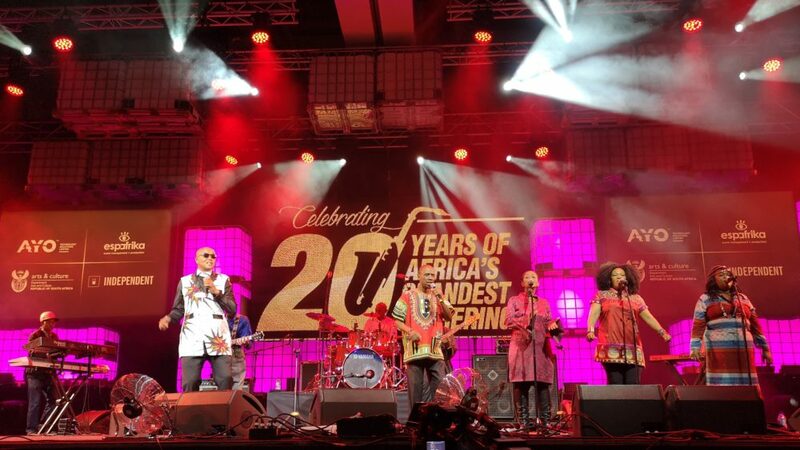 This year saw the 20th edition of the event that started in 2000 as the North Sea Jazz Festival Cape Town, a joint venture between South Africa and the famous North Sea Festival in the Netherlands. 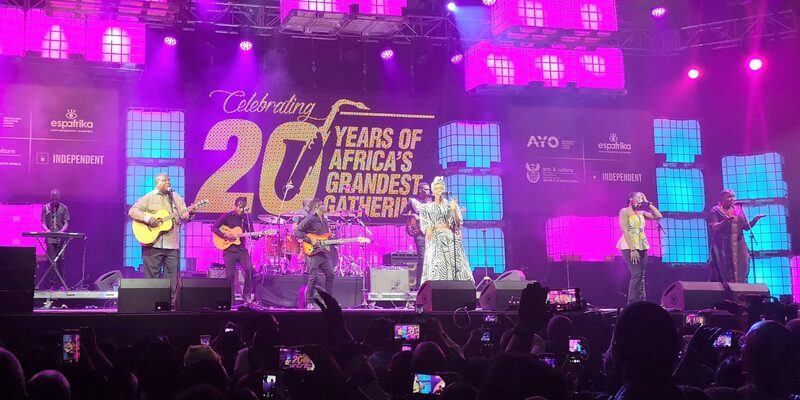 Over five years, the newcomers learned from their Dutch colleagues how to organize a big musical event, then they carried on by themselves with the Cape Town International Jazz Festival. 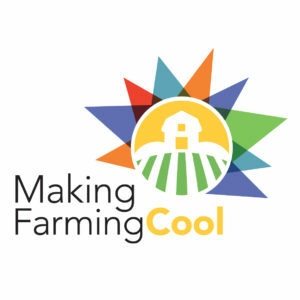 Since 2004, it takes place in the Cape Town International Convention Center during Friday and Saturday of the last weekend of March. The center has space for three venues: “Kippies" (named after the legendary alto sax player Kippie Moeketsie) which holds nearly 10,000 people, “Moses Molelekwa" (a promising pianist from Johannesburg who was found dead in 2001 at the age of just 27 years old) for about 600 listeners, and “Rosies,"named after a long-defunct Cape Town jazz club, with some 300 seats. Two outdoor stages complete the festival area: “Manenberg“ (dedicated to the famous Cape Town tenor sax player Basil "Manenberg" Coetzee), and “Bassline“ with a program that aims mainly at a young audience. The Basil "Manenberg" Coetzee stage. 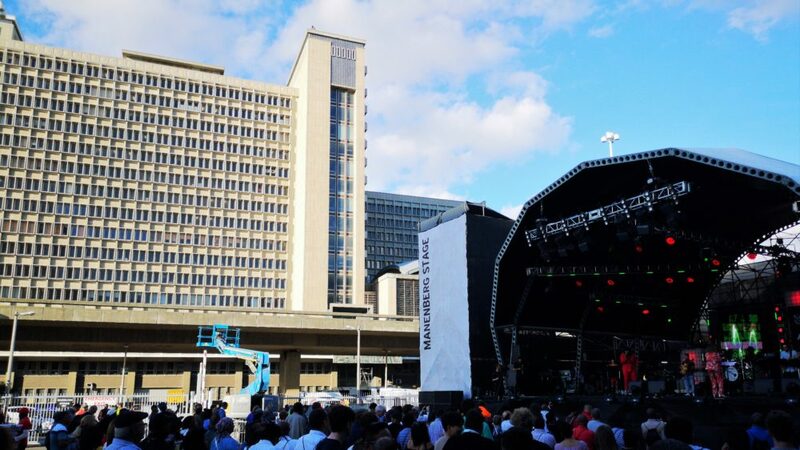 Since the festival tickets are unaffordable for many poor Capetonians (and also because the CTIJF is always sold out long before it starts), there is a free concert on Greenmarket Square right in the heart of the city on the Wednesday before, with six to eight hours of music. Other activities include workshops for both arts and photo journalism; a photo exhibition; and master classes with experienced international musicians for talented young South Africans. The festival lineup features in equal proportions South African and foreign artists. This year's headline act, Chaka Khan, was a big disappointment both soundwise and musically. But there was no shortage of interesting bands. The festival kicked off with the soul music legend Steve Kekana, who lost his eyesight at the age of five. Since 1978 he has released 45 albums and is also a music copyright lawyer and university law lecturer. Next was Mahube, a pan-African ensemble with members from South Africa, Mozambique and Zimbabwe, led by the father and son team of Steve (sax) and Bokani (piano) Dyer. 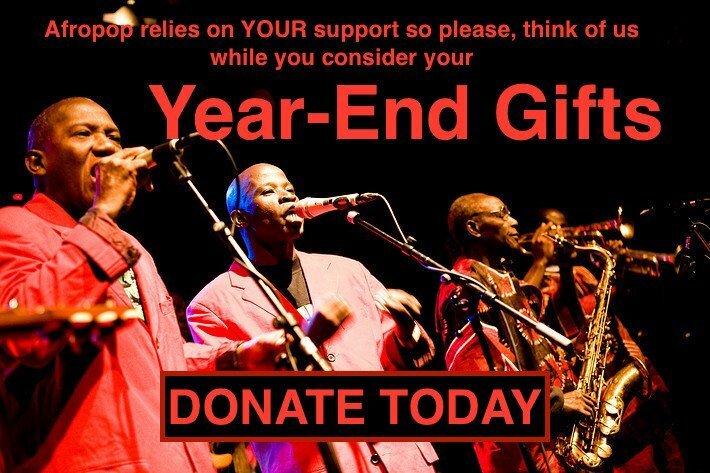 The band was founded in 1997 and fuses musical traditions from all over Southern Africa with modern elements. 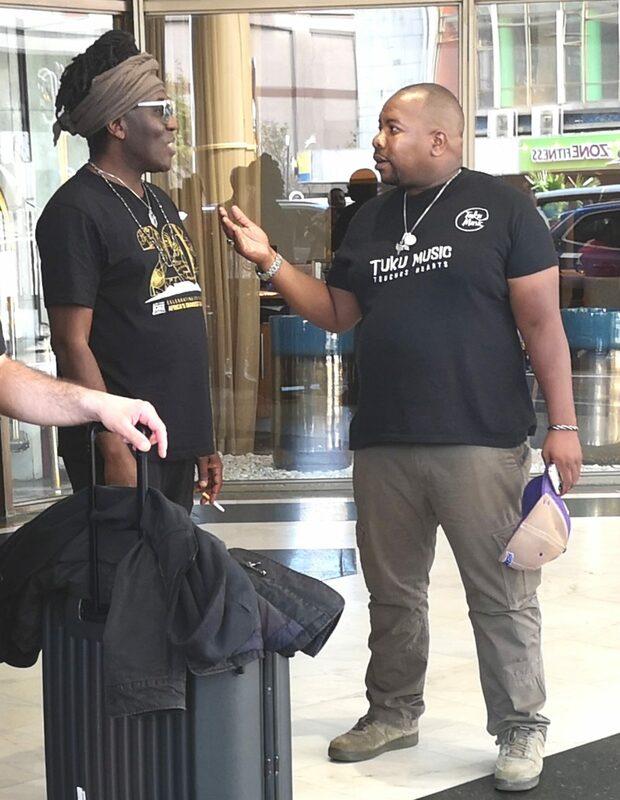 Richard Bona and a member of Oliver Mtukudzi's Band, The Black Spirits. Richard Bona from Cameroon had no problem filling the big hall and neither had the Soweto Gospel Choir. With their backing band, the 20-some singers have toured the world over the last 17 years and even won two Grammy Awards. A very special concert was dedicated to the life and music of Oliver “Tuku“ Mtukudzi, Zimbabwe‘s highly popular musician who was supposed to play in Cape Town but died on Jan. 23, exactly one year after his friend Hugh Masekela. 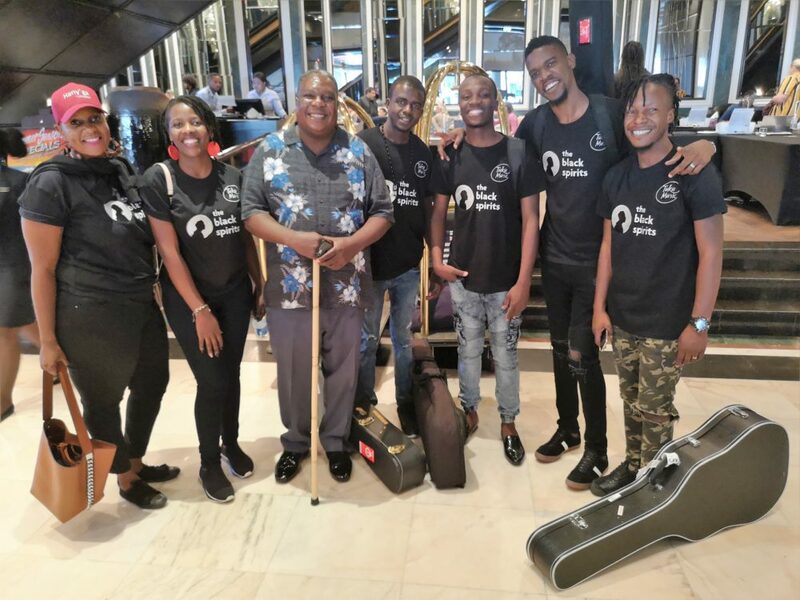 In Cape Town, Tuku's band The Black Spirits performed without him but with many guests including South Africa's famous singer/songwriter Vusi Mahlasela. Among the festival's most interesting bands was the Indian/Canadian Bickram Gosh Quartet which featured fascinating dialogues between the leader's tablas and the kit drums. 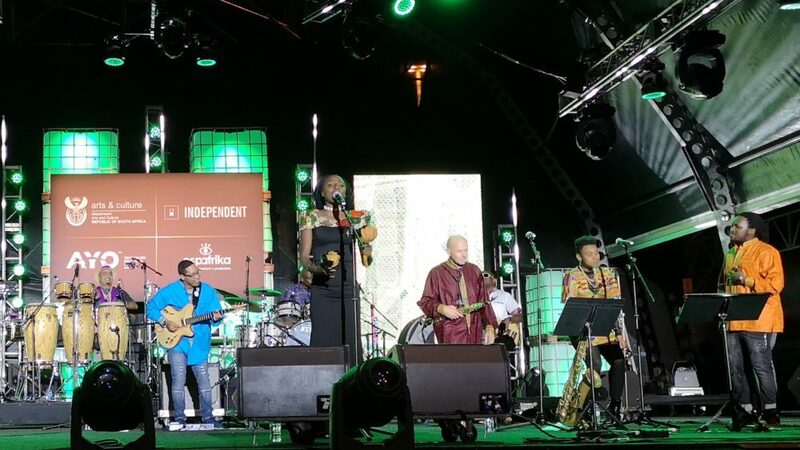 Other remarkable foreign acts included Angolan singer, songwriter and educator Ndaka Yo Wiñi, and the U.S.-based Brazilian pianist and singer Eliane Elias with her quartet, who played the second night, which also featured three of Cape Town's music legends. Jonathan Butler, who had moved to California more than 30 years ago, performed in his home town for the first time in 10 years and was cheered by thousands of enthusiastic fans. Another homecoming show was delivered by alto sax player Morris Goldberg, who had left Cape Town in 1959 at age 23, first to London, then to New York where he collaborated with Hugh Masekela, who was to become a lifelong friend. And millions who have never heard Goldberg‘s name, know his pennywhistle solo in Paul Simon‘s “You Can Call Me Al." One of the last concerts of this year‘s festival featured a Cape Town piano icon: Chris Schilder, who calls himself Ibrahim Khalil Shihab since he converted to Islam. He rose to fame in the early 1970s as pianist and songwriter of the band Pacific Express, whose members belonged to several of apartheid's racial categories and defied the system simply by playing together. Shihab, who is suffering from health problems, performed a brilliant set, featuring young musicians to whom he passes the torch. As always, 20,000 people per night enjoyed an exceptionally well-organized festival with foreign stars, national legends and interesting newcomers. Congratulations to the big team who made all that possible.